It’s Medical Transcription Week – What’s the Future for the Industry? The week of May 20th through May 26th is Medical Transcription Week, which was established by President Ronald Regan. According to the American Transcription Association President Regan recognized the value and importance of medical transcriptionists and thus established National Medical Transcriptionist Week on May 21, 1985. 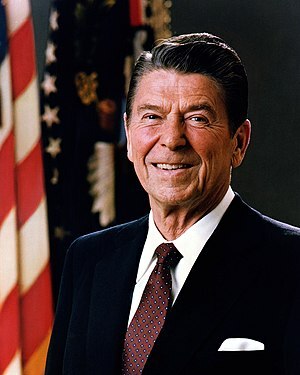 President Regan realized how common it was becoming for people to have more than one physician, change physicians, go to a specialty physician, etc. Consequently, he understood the significance of proper, legible medical transcription so that a person’s medical history could be provided to and reviewed by multiple physicians, if need be, for proper treatment and patient care. Well, things have changed significantly since 1985 and in this world of Electronic Health Records what is the future of the Medical Transcription Industry and the tens of thousands of medical transcriptionists working in the United States? Obviously the market for Medical Transcription services is in decline and the number of businesses providing MT services is shrinking dramatically. Smaller firms are being acquired by larger firms, or simply going out of business. Larger firms are finding new ways of generating revenue offering services that go well beyond those offered just a few years ago. The medical transcription industry is not going away, at least in the near term, but it is changing and changing quickly. If you’re an MT what are your thoughts on the future? What are you doing to retain customers, add services and keep the revenue flowing? Let’s talk about it either in the comments section below or here on Google Plus.